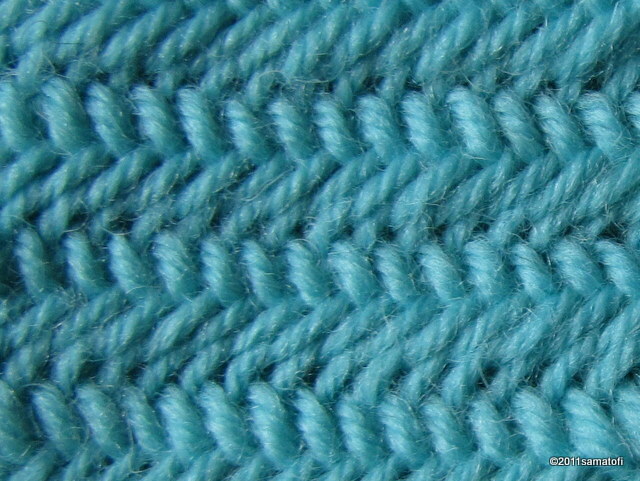 Compare this stitch (2+tl+2) to Turning Stitch, version II, 2+tr+2, in which the loop-to-be-turned is 'turned' by hand, anti-clockwise, and the needle is inserted into the loop only then. Video 2+tl+2 F2 (link) Antti Veikko Kekki, 94 years old, originally from Antrea, is nalbinding. Video by Noora-Stiina Kekki. 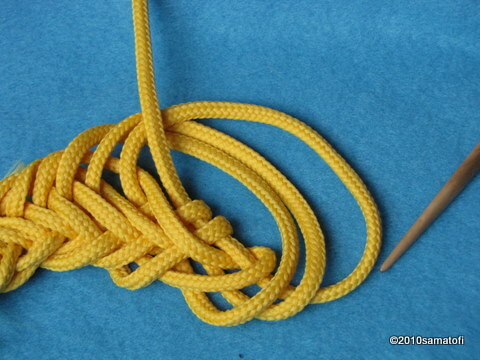 This variant is actually a very easy one to do, although the tangled mess made with the yellow string may seem complicated. 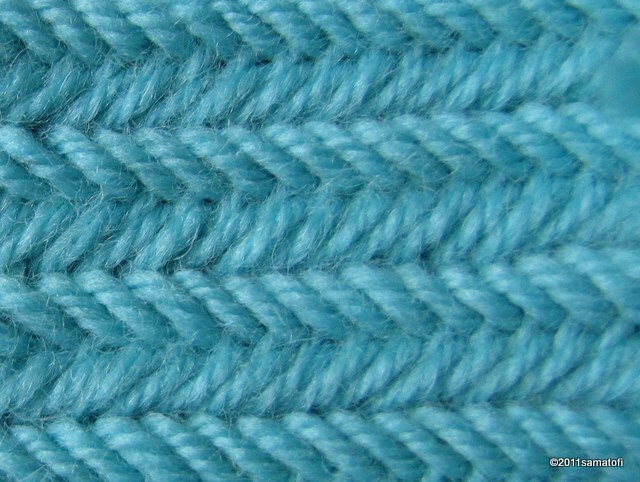 It is easy, however, and creates thick and dense fabric which suits perfectly for cold winter weather.